Craving chocolate or oily foods? Here’s why! Look we’ve all been there and I’m the first one to support a real mental anguish kind of hell-breaks-loose- genuine chocolate craving. There’s nothing like giving in to the magnetic pull toward a bar of deliciously understanding chocolate. There are days when the craving is so present, so real, that I won’t allow reason or willpower to come between the gift that keeps giving and my mouth. 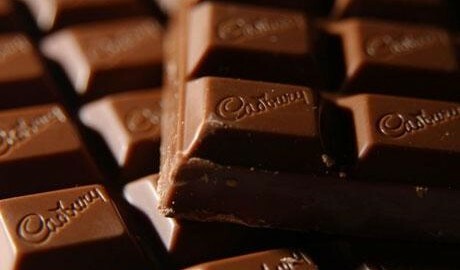 The really interesting part for me though is that this craving sensation has a time limit- research states that a craving typically lasts between 3 and 5 minutes, meaning we could possibly on quite easily and not always have to give in to the chocolatey goodness. The thing is, that when we experience cravings, our body is actually calling out or something entirely different and we may be deficient in certain nutrients. So, what do your food cravings really mean?? If you are craving chocolate, your body needs magnesium. The healthy foods that are magnesium rich, include raw nuts and seeds, avocado, fish, legumes and dried fruit. Likewise if you crave your morning cup of coffee, you may be lacking phosphorus (found in chicken, beef, fish and eggs) or indeed sulfur (found in egg yolks, red peppers and garlic) or perhaps even iron (found in seaweed, poultry and black cherries). Find yourself craving oily snacks? Your body is crying out for some calcium, so think broccoli, kale, yoghurt and cheese. But what if I can’t give in?? Now of course, sometimes you just have to give in to the little voices, but try sticking to 80% cocoa dark chocolate or even a higher percentage if you can hack it! And try drinking it with a herbal tea instead of a regular tea or coffee as you’ll find yourself less inclined to reach for another square. What can I do to beat the craving sensation? Silly as it sounds sometimes your brain and body are just a little bored- try any combination of the following, and afterwards have a glass of water with a teaspoon of chia seeds, which can help make you feel fuller for longer and are full of good healthy fats, fibre and anti-oxidants.